There are moments in which algorithms don’t just appear to be branding and marketing products but in fact dreaming up the products themselves. Apparently the algorithm thinks we want this. This particular good-for-sale—brought to you by KFC’s rogue bot—is a log that smells like fried chicken when lit, or is supposed to in any case. 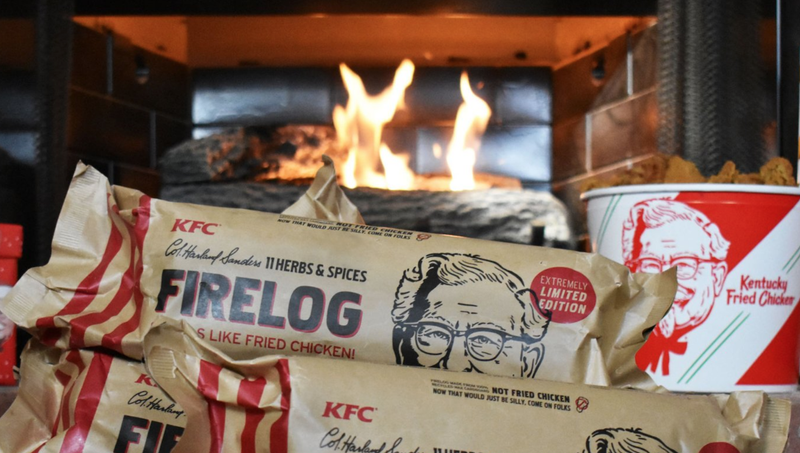 KFC announced its 11 Herbs & Spices Firelog on Thursday. These cost $18.99. My opinion? The chicken scent is not very meaningful divorced from the chicken itself. The product will be sure to make people salivate but is based on a shoddy understanding of human nature. At least it’s preferable to 2016’s Colonel Sanders’ Extra Crispy Sunscreen.